Eureka Manipulatives are great for teaching early childhood learning and a great tool in helping students recognize connections within each educational topic. 100 plastic animals provide lots of sorting fun! 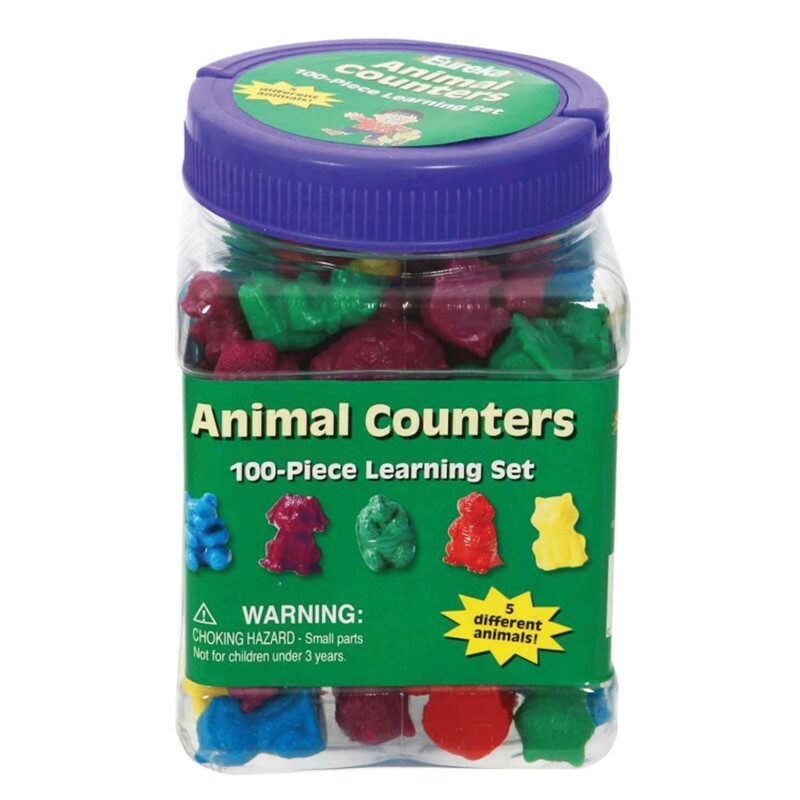 Each pack includes 20 each of bears, dogs, cats, turtles and alligators in five different colors in a plastic storage tub. Plastic tub measures 3.75" x 5.5" x 3.75". Not for children under 3 years of age.